We sell aronia berry plants to help you get started. Call us today! The ‘Joanna 4’ is our aronia berry harvester of choice. Our half-row pull-behind harvester is used for up to 60 acres. Our accuracy of harvesting is more than 98%. Buy a harvester from us. Planting Questions and planting recommendations. Irrigation systems and mulch. Getting soil samples and what to watch. CUSTOM ARONIA BERRY PLANTING……We custom plant aronia plants. Call us for more information! 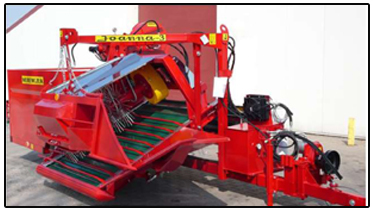 Why did we chose the ‘Joanna 4’ harvester to be our custom harvest machine? The ‘Joanna 4’ is our aronia berry harvester of choice. Our half-row pull-behind harvester is used for up to 60 acres. Our accuracy of harvesting is more than 98%. Need custom harvesting done call or email us today! 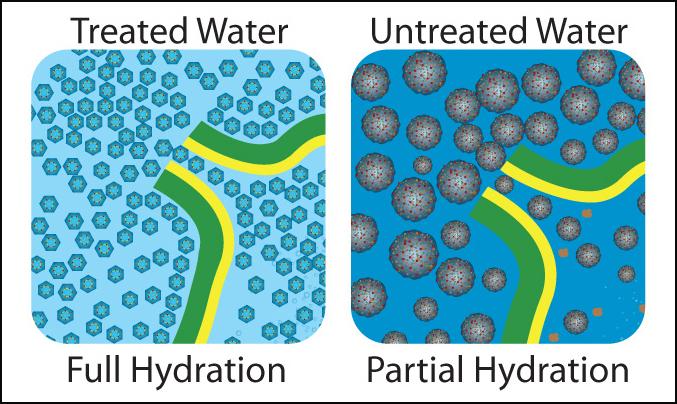 Omni-treated water improves the health and productivity of all living cells. The fuller hydration, more efficient delivery of nutrients, and faster removal of toxins combine to create extraordinary benefits for the cells of plants, animals, and humans. MORE YIELD with LESS WATER. How many Aronia berry plants do you plant? How will you harvest your Aronia berries? Answering these two questions are very important. If you are going to have 100 to 1,000 plants, hand planting and harvesting may be your best option. 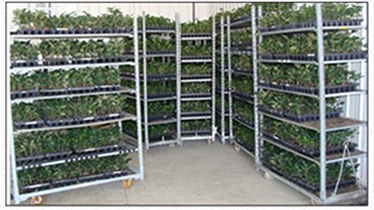 The further the spacing of your plants the bigger they will grow and the higher the yield. Twelve foot spacing is not uncommon when planting a low number of plants. When hand planting you can use a hand shovel, a bulb planter or a bulb auger in a cordless drill works great and is very fast. Just remember you will be hand harvesting. When considering planting 1,000 plants or multiple acres you will want to use a mechanical planter and plant in a hedge row. Your row spacing will need to be 14 feet a part to accommodate a mechanical harvester with the plant spacing being two and a half to three feet. For any other aronia berry Iowa questions please don't hesitate to contact us! Choose a good area with good soil to plant your Aronia Berries. Aronia will tolerate a wide variance of PH 5.3 to 7.5. Aronia will grow best in PH soils between 6.1 and 6.7. Aronia grows well in full sunlight, but is moderately tolerant of some shade. Water is essential with Aronia as it is with most plants. Aronia will grow with a limited amount of water but you will not be happy with the growth or your production. Aronia will tolerate more water than most plants. Precipitation is one thing you can’t count on - you have no idea when it’s going to come or how much you will get. A drip system is the most economical way to water. It limits the use of water by only watering the area around the plants. These systems can run from $750 to $1500 per acre. Your nutrient needs will stay the same but it will make a difference if you are raising organic Aronia or not. A crop consultant is a good place to start in this area. Mulching will help with weed control, protect plant roots from extreme temperatures and conserve water moisture in the soil. Commercial Planting should be done when planting 1,000 plants or multiple acres as you will want to use a mechanical planter. Row Spacing recommendation is 14 feet a part to accommodate a mechanical harvester. 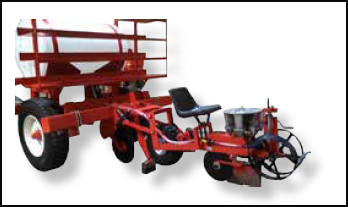 Plant Spacing recommendation is 2 1/2 to 3 feet a part to accommodate a mechanical harvester. Commercial Production is when a mechanical harvester will be used to harvest your Aronia berries.